100% open source, all plans and source codes are open! 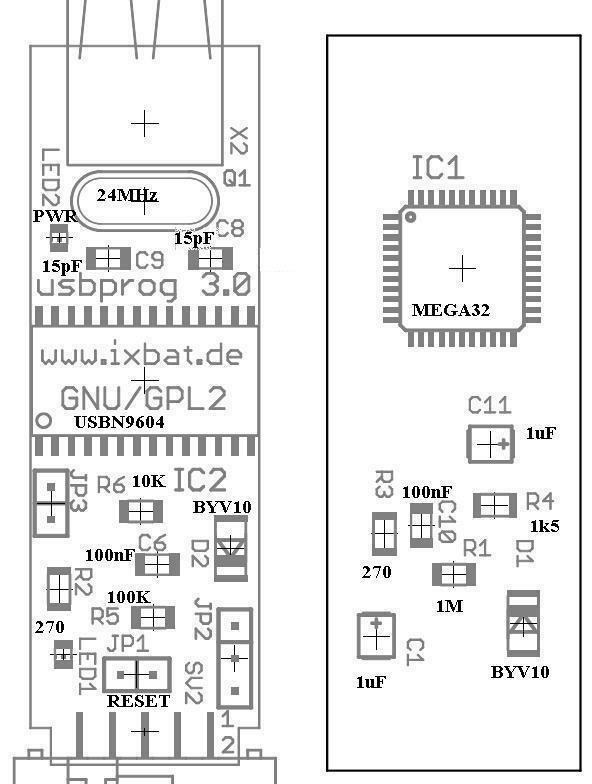 usbprog is a free programming adapter. You can easily install different firmware versions from an "online pool" over USB. 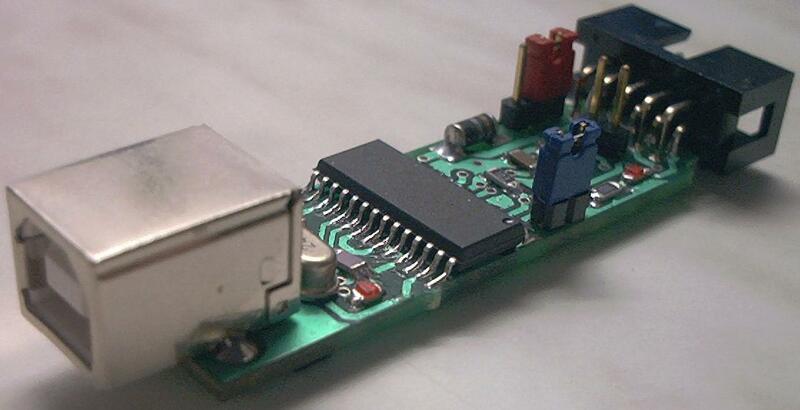 The adapter can be used for programming and debugging AVR and ARM processors, as USB to RS232 converter, as JTAG interface or as simple I/O interface (5 lines). Hardware and software developers who work with Windows, Linux and other operating systems. 3. What is so special about the concept of usbprog? Given time, there will be a growing pool of firmware versions. 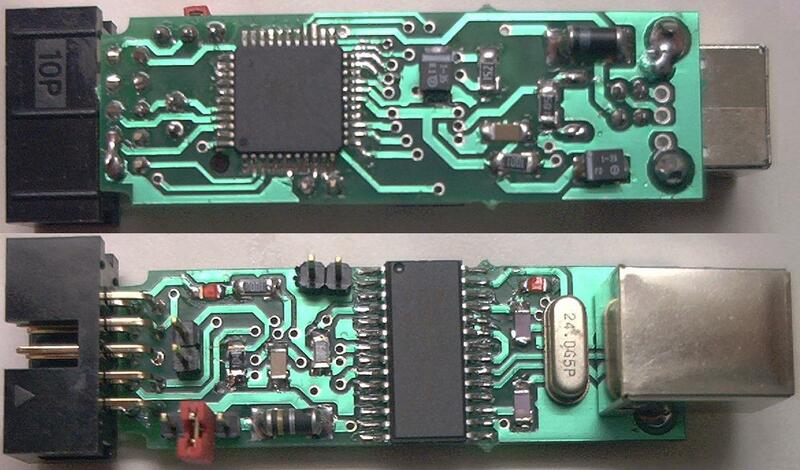 If you have to work with a new module you will ideally find the matching firmware to program or connect to this new module in the online pool. 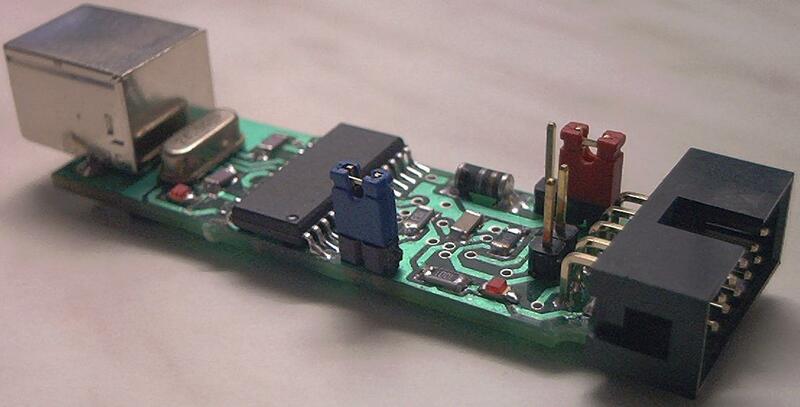 If there is no matching firmware for the required module you shouldn't hastily buy a far too expensive adapter, but ask if it paid to write a new firmware for usbprog and thus to invest in the firmware pool. Often it is done quite quickly, because you can enhance existing software tools. 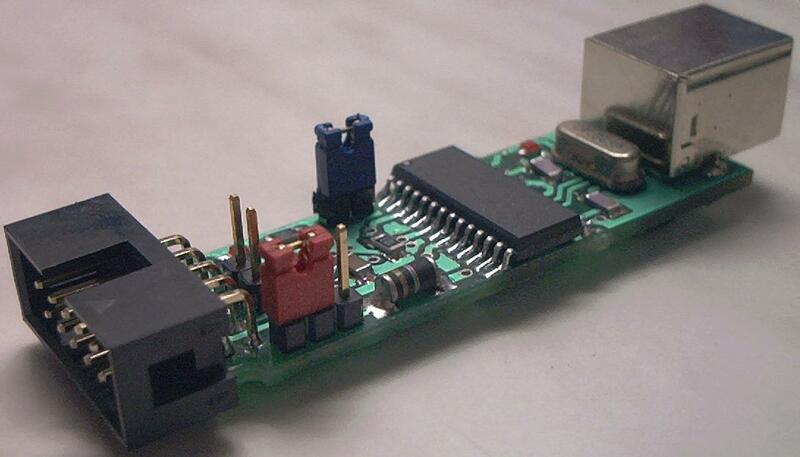 Like in the case of the AVR ISP 2 clone that can be used with every application that supports the original adapter of Atmel, or the adapter for the OpenOCD, a product developed within 2 to 3 days. As the whole project is an open source project, it should be interesting for a long time! OpenOCD Interface (ARM Debugging) (more) NEW!!! The software on the adapter can be directly changed by the consisting USB connection via an easy to use update mechanism. This works easily with a graphical programm, available for Windows and Linux. 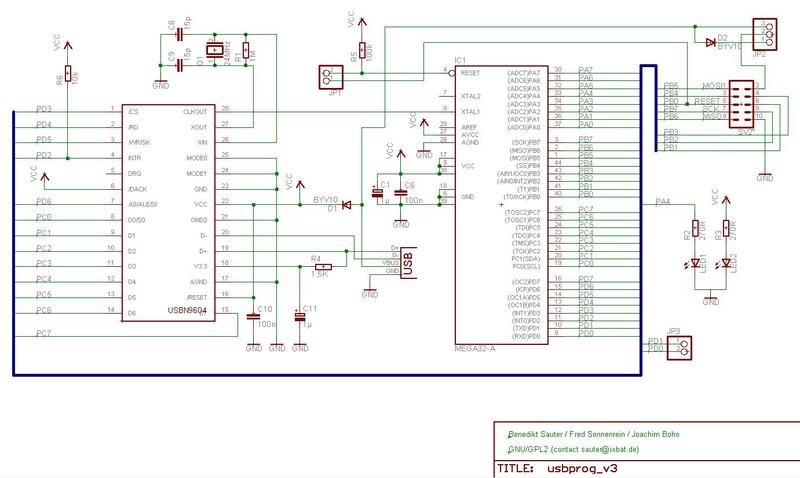 Therefore the schemes are available in our downloads section (schematic circuit diagram, PCB layout, etc. ).